A few years ago, on the agplaythings message board, someone asked us to describe our perfect 18" vinyl play doll. 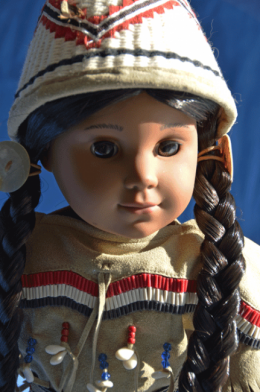 I described pretty much the My Imagination Deluxe dolls: face sculpt by Tonner, all-vinyl body able to fit AG clothes and shoes, high-quality wigged hair, and extra joints, at least at the knees. As many of you know, I have a large 18" vinyl doll collection, and I keep it manageable by setting up display areas in my doll room focused on "friend groups". 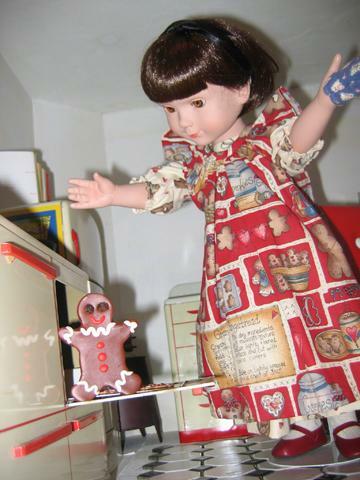 For instance, Lindsey is the ringleader of my modern American Girl dolls and several of them hang out in her bedroom. 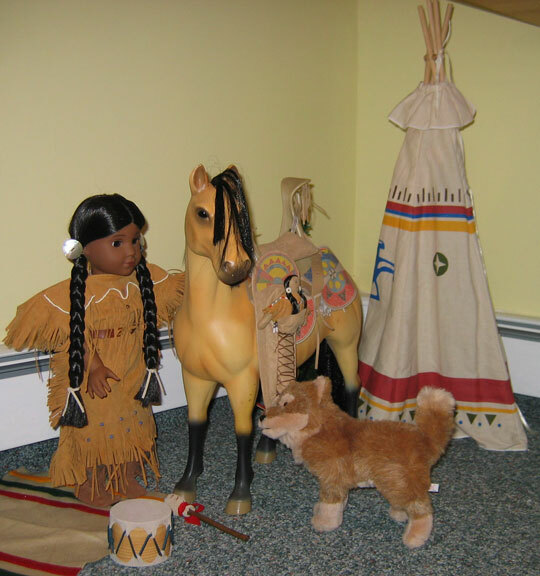 If a doll doesn't have a friend group to join where she fits in, adds variety, and fills a role (without overcrowding the space), s/he gets rehomed. I was tired of the old, Halloween-like color scheme so I decided it was time for a change. Let me know what you think! 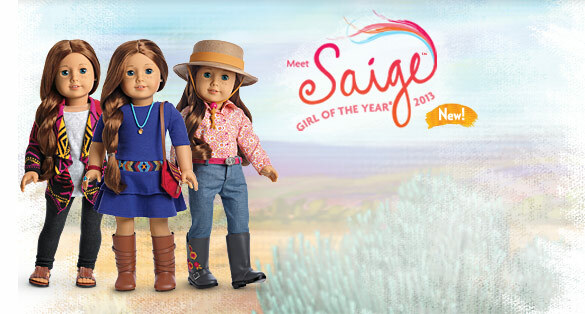 Saige has been added to the American Girl Girl of the Year page of the Dollipedia! I think she's adorable and I've already added several of her things to My Wishlist. What do you think of the girl of 2013? 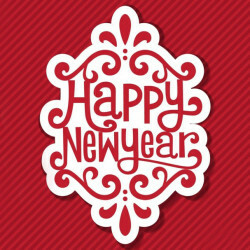 You know what that means -- New Year's resolutions!! What are your resolutions? Create a blog post and share them! I'm going to need strategies to keep these resolutions.